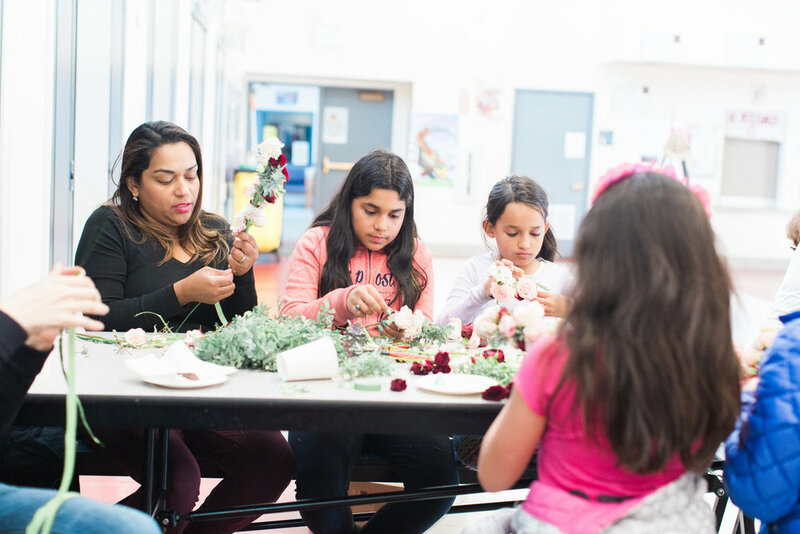 A few weeks back, I had the opportunity to host a floral crown workshop at James Madison Elementary in the East Bay. It was a great activity for the students and their moms, and all proceeds were donated to the school's graduation fund. If you are in need of a charitable fundraiser or event, this is a really unique and fun opportunity. I love to donate my time and materials to support a good local community organization or cause, especially when it comes to our children. I think it is so important to invest the time and energy into our future generation. It's a small thing I know, but I hope it's a good start. If you would like to host a similar workshop, please contact me to discuss logistics. Thanks everyone and hope you had a great weekend!